Not long ago, it was Google who introduced eye pieces that could project augmented reality into a person’s visual field. Known as Google Glasses, they sure seemed futuristic, didn’t they? And yet, it seems someone else has gone a step farther. The Defense Advanced Research Projects Agency’s (aka. DARPA) own researchers, based in Washington’s Innovega iOptiks. 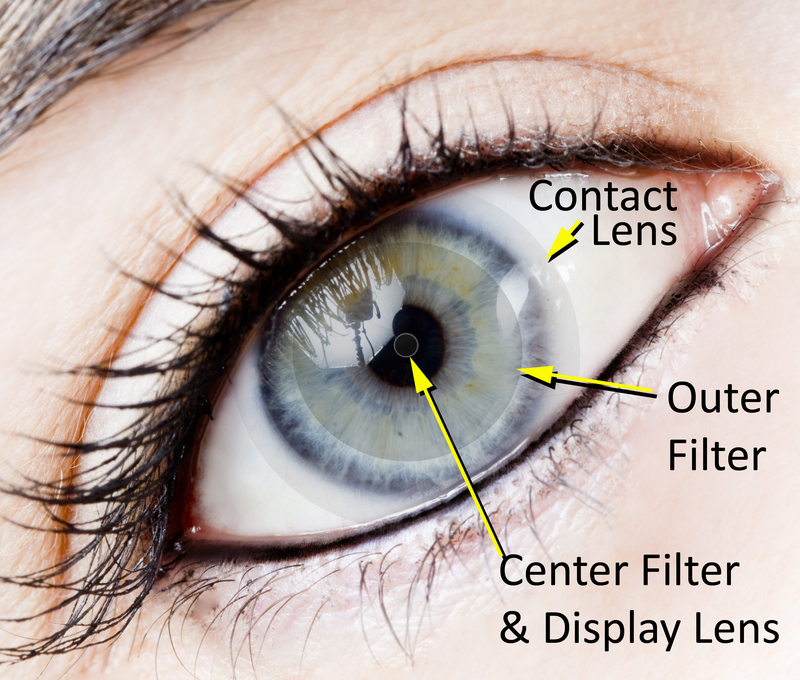 The concept calls for contact lenses that enhance normal vision by allowing a wearer to view virtual and augmented reality images without the need for bulky apparatus. One of the obvious advantages of this is the ability to get around easily while interacting with virtual images. But in addition, they also will help a person focus on both near and distant objects. Developed as part of DARPA’s “Soldier Centric Imaging via Computational Cameras” (SCENICC) program, the objective was to create a device that could enhance a soldier’s vision, allow them to access information, while still being highly ergonomic and portable. But of course, the line between military and civilian applications is always a fine one, with inventions trickling down to the street all the time. Very soon, these could be making their way onto the shelves of the Apple store. I can see it now… the new eyePhone! No word yet as to how these things are powered, like if they have some kind of battery. Where would that go? Are these things solar powered? Unclear at this time. Regardless, as someone who is near-sighted, a big fan of cyberpunk, and damn eager to try out some augmented reality, I’ll be looking to get me some as soon as they’re available! Who said they’re available? I can hear the military right now: “We cannot allow civilians to have these because blah blah blah national security purposes”. Still, sounds wicked cool. Pretty cool! I think if I wore one, I would feel like a cyborg. eyePhone? *groans theatrically* That’s bad.